Bells and paper gifts much appreciated. Thank you and happy holidays. this is so cute & well designed , thanks a lot :-) ! 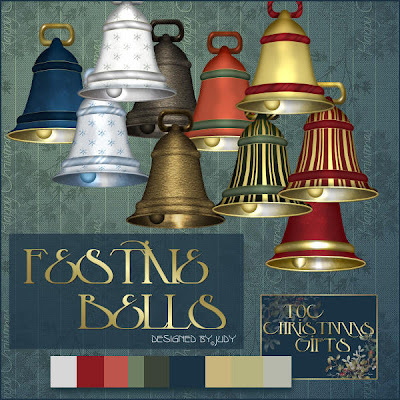 Such gorgeous bells, thank you again for sharing your beautiful creations. Thank you again for your generosity and shared talent! Beautiful Bells! Thank you so much.